Help every client to feel confident and informed about their financial future and effect positive change in the world through the investment decisions they make. Understanding each client’s unique values and objectives lies at the heart of Kelly’s philosophy. She is known for making sure clients understand the financial choices that they are making and the impacts that they have. Kelly helps you make investment decisions that are aligned with your values, allowing you to impact your world and community while still achieving your investment goals. She takes the time to get to know you, and to ensure that what’s important to you is reflected in your portfolio as you move through the different phases of your life. When you work with Kelly, her goals are the same as yours: To help you live the life you’ve imagined. When she’s not working, you can find Kelly in or near the water. She enjoys swimming with her Master’s team, pretending to be a mermaid with her daughter, or paddle boarding on Lake Tahoe with her husband. Kelly is a Vice President and CERTIFIED FINANCIAL PLANNER™ at Morgan Stanley. Kelly attended the University of Arizona and graduated with a Bachelor of Science degree. 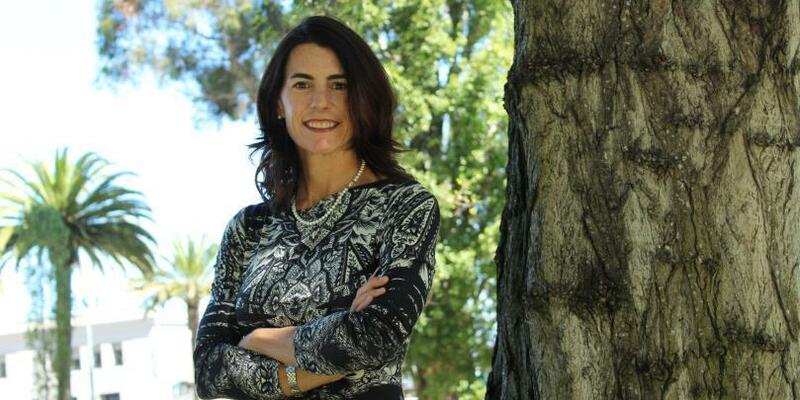 She spent 9 years as a Pediatric Dietitian with the University of California, San Francisco before starting her financial planning career at Morgan Stanley in 2000. Since then, she has obtained her CERTIFIED FINANCIAL PLANNER™ designation and has built a successful consulting business, serving the needs of those dreaming about world travels, enjoying retirement, and everything in between. Kelly maintains her Series 7, 31 and 66 Securities Licenses as well as her Health and Life Insurance Licenses. If we, as consumers, feel it’s important to support—or not to support— businesses and industries based on our social values, why wouldn’t we carry those same practices into our investments where we can make an even more lasting impact? Socially Responsible Investing marries our financial goals with our values, allowing us to have positive social influences that align with our beliefs. Sustainable, Socially Responsible or ESG (environmental, social and governance) incorporates positive screens for companies working to give back to their communities, minimizing environmental impact, and being progressive with gender and diversity in the workplace, just to name a few. Working with Kelly and Morgan Stanley, you gain access to benefit from the thought leadership of Morgan Stanley’s Institute for Sustainable Investing and MS & Co Sustainability Research. You’re introduced to a comprehensive approach to "Investing with Impact"– across asset classes, investment solutions and impact objectives. All of this is supported by a firm-wide commitment to sustainable investment so each client has the tools needed to invest for our collective future. 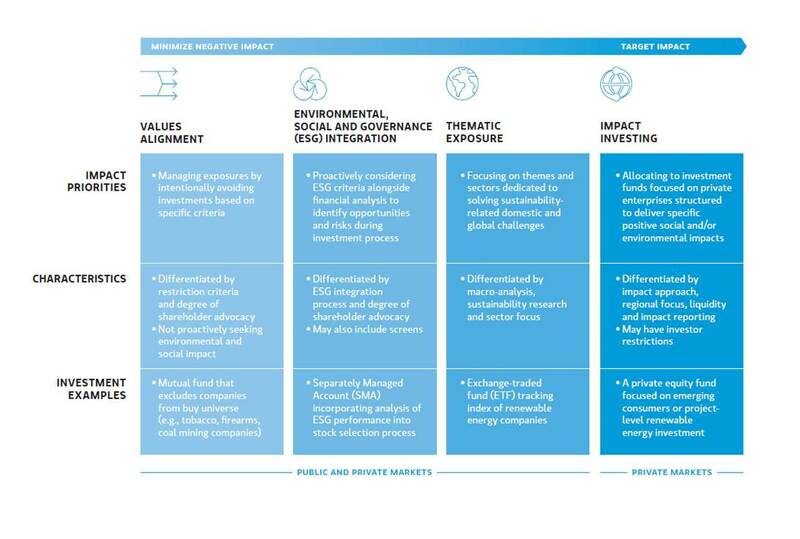 “Investing with Impact” is the most robust sustainable investing platform on the street and benefits from the thought leadership Morgan Stanley’s Institute for Sustainable Investing to the largest suite of products vetted for their positive (and negative) influence. The Institute for Sustainable Investing was established by Morgan Stanley Chairman and CEO James Gorman in 2013 to pursue three focus areas: financial products addressing the sustainable mandates that investors are looking for while delivering market rate returns; providing thought leadership to help mobilize private capital towards sustainable investing opportunities; and create strategic partnerships to build capacity and best practices within the field of sustainable investing. Ready to start a conversation? Contact Kelly York today. 2The returns on a portfolio consisting primarily of Environmental, Social and Governance (“ESG”) aware investments may be lower or higher than a portfolio that is more diversified or where decisions are based solely on investment considerations. Because ESG criteria exclude some investments, investors may not be able to take advantage of the same opportunities or market trends as investors that do not use such criteria.